Coleslaw with a difference? Why not! 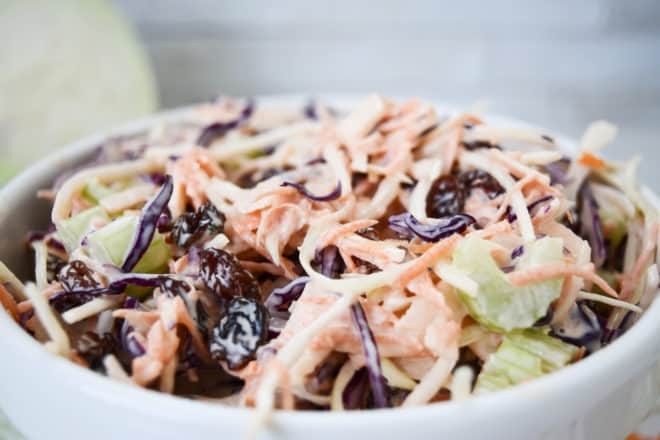 This fruity coleslaw recipe tastes really fresh and sweet, perfect side dish any night of the week! So quick and easy, just mix it and go. Trust me you will never want to buy readymade coleslaw again.